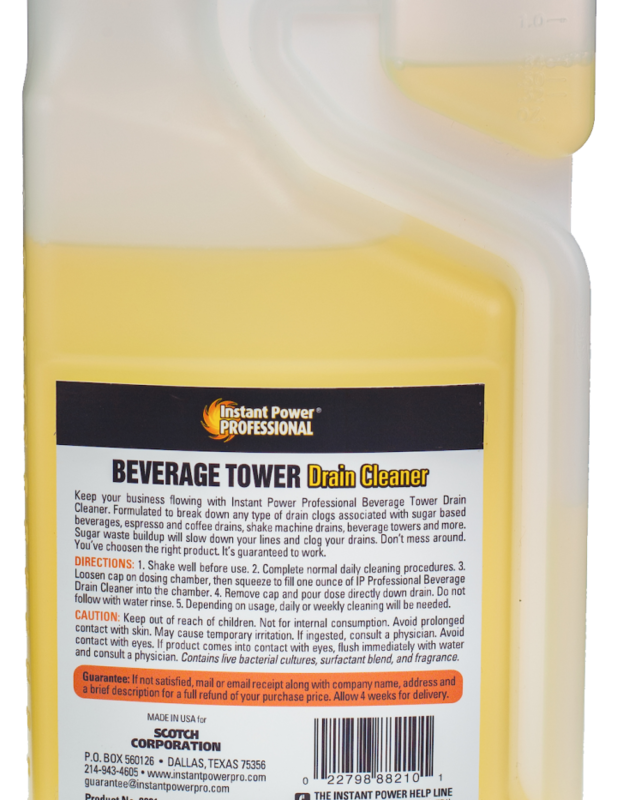 Powerful 100% lye formula creates heat to melt and dissolve grease, hair, soap, scum, and other drain clogging material. 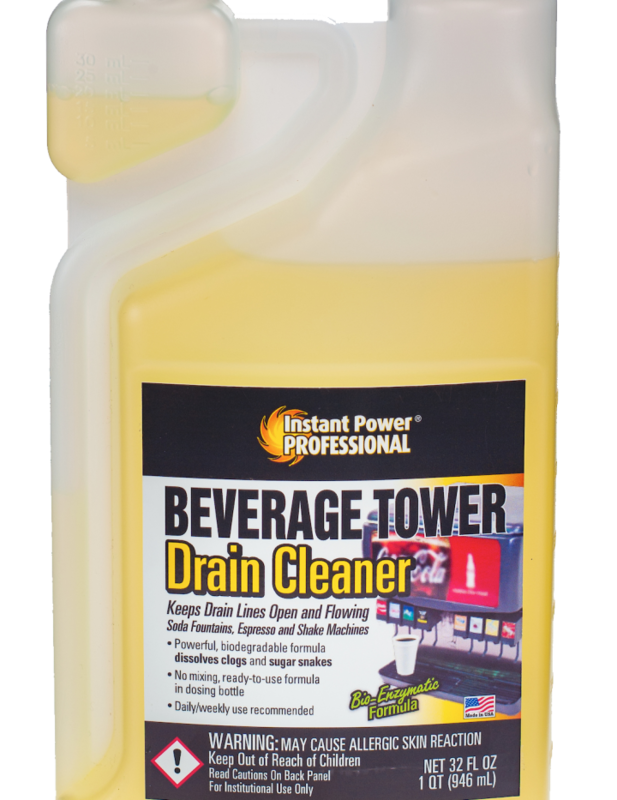 Clears drain lines in 15-30 minutes. 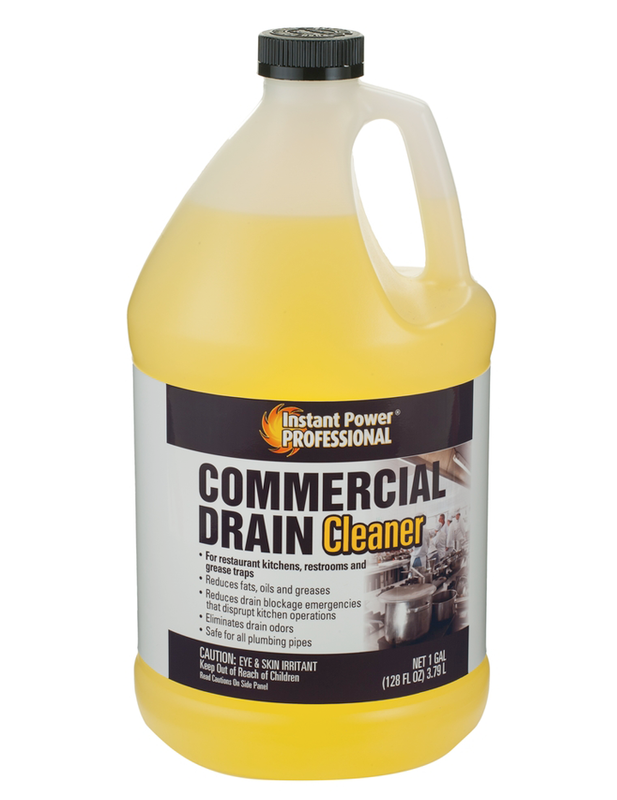 For use in kitchen and bathroom sinks, tubs, and showers. WHAT IS IT — — USED FOR? Crystal Lye Drain Cleaner quickly & effectively clears clogged drains. WHAT IS IT NOT — — USED FOR? Never use in a completely sealed system. Do not use with ammonia, acid, bleach, other household chemicals or drain openers. Do not use with plunger, as splashing may occur. Not for use in toilet bowls, urinals, dishwashers or garbage disposals. Damage may occur. Keep off all surfaces, including fixtures and utensils made of aluminum, brass, chrome, wood, paint, acrylic or fiberglass. It is safe on my pipes? Yes it is safe for all pipes and septic systems. Wear safety goggles to protect from possible eruption of Lye. Remove standing water. Pour drain opener slowly, directly into drain. 1. Remove as much standing water as possible from sink or tub. Make sure water in drain is cool. Remove strainer if possible. 2. 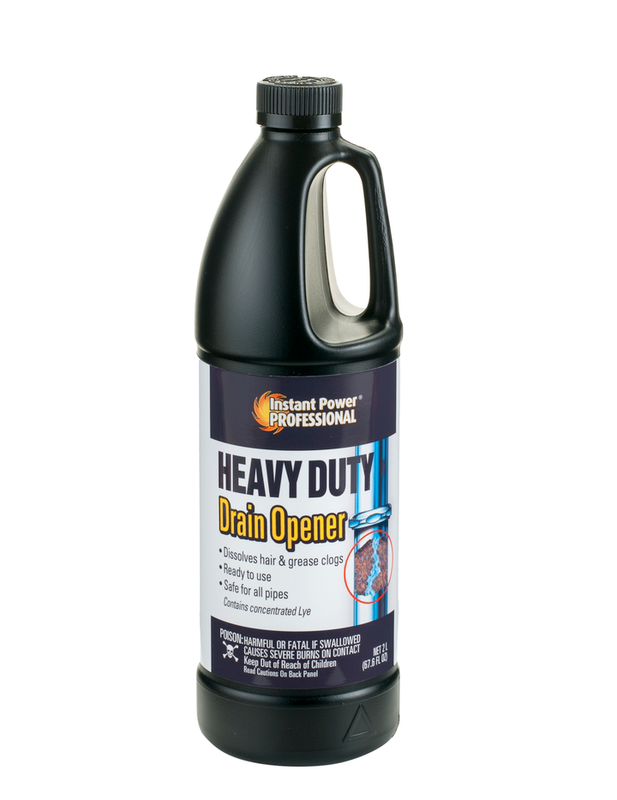 Slowly pour 1 heaping tablespoon of Crystal Lye Drain Opener directly into drain. 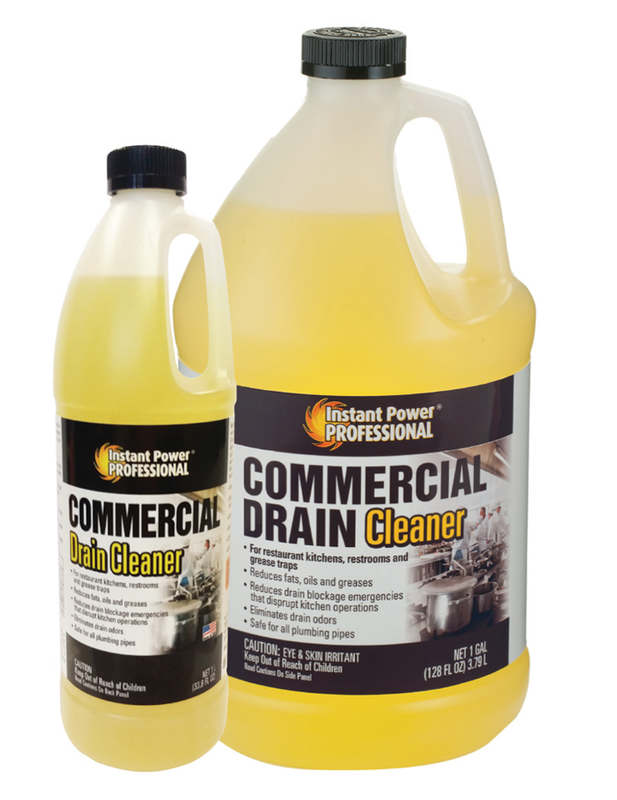 Do not allow direct contact of product to any sink or tub surface or fixture. Damage may occur. 3. Add 1 cup of cold water to drain. Immediately cover drain opening with a bowl to avoid splash back. Do not completely seal, as pressure can build up. 4. For best results, leave in drain for 15-30 minutes. 5. Once drain has cleared, flush with cold water. 6. 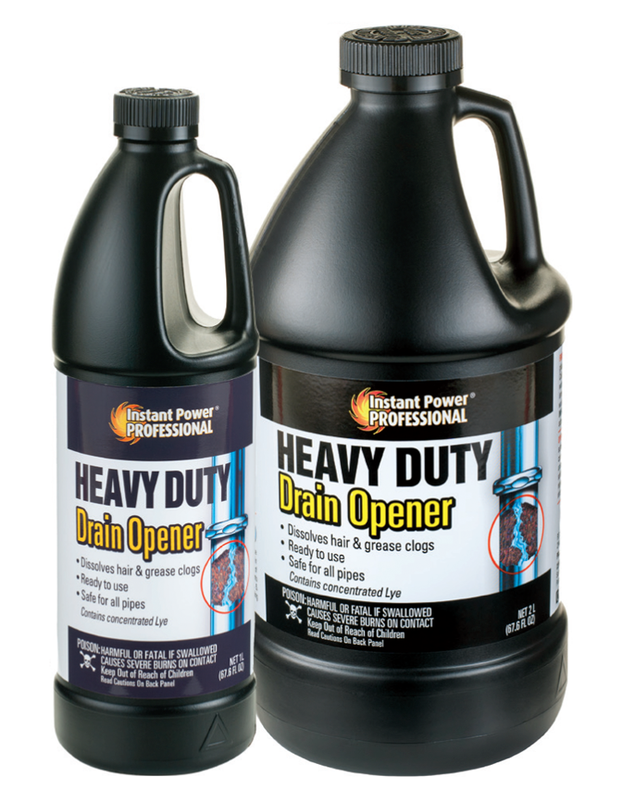 If drain remains clogged, repeat steps 1-5. Avoid physical contact with standing water in sink from the first application, as burns may occur. 7. 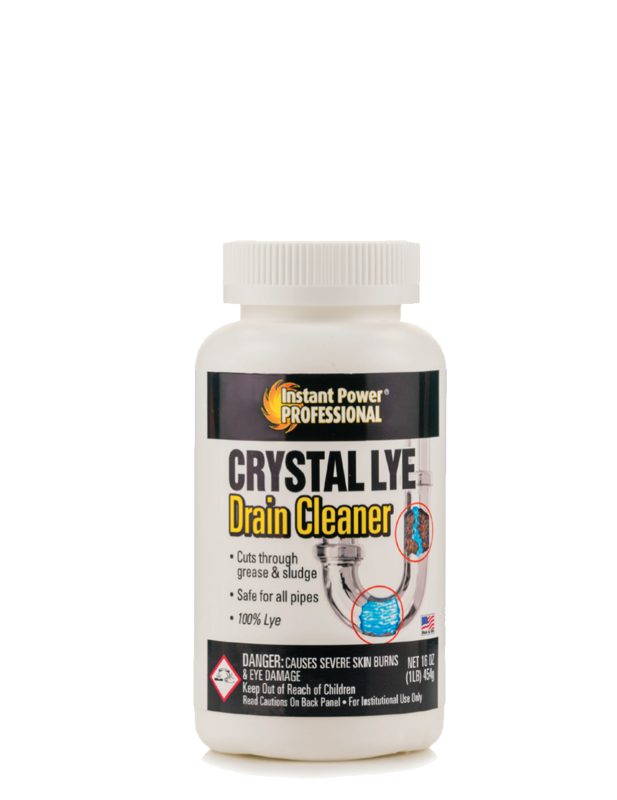 If after two treatments the drain remains clogged, consult a plumber and mention the use of Instant Power Crystal Lye Drain Opener.